Juventus head coach Massimiliano Allegri described Cristiano Ronaldo as a "great professional", though he reiterated his plan to rest the superstar after scoring the winner against Torino. 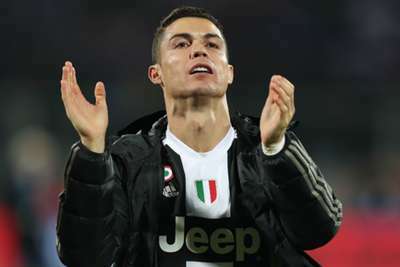 Ronaldo was the hero in the Derby della Mole – the five-time Ballon d'Or winner scoring Juve's 5,000th Serie A goal in their 1-0 victory away from home. A 70th-minute penalty handed Ronaldo his 11th league goal of the season, extending Juve's lead at the summit to 11 points in the process. Ronaldo has adapted seamlessly since swapping Real Madrid for Juve but Allegri is ready to give the 33-year-old a break. "Ronaldo is a great professional," Allegri told reporters. "He truly cares about details. That's why he is always fit. "But I already told him that he will miss one of the next games against Roma, Atalanta or Sampdoria." Since joining Italian champions Juve in a €112million deal in the off-season, Ronaldo has scored 12 goals in all competitions. Ronaldo is level with Genoa sensation Krzysztof Piatek atop the Serie A scoring charts after 16 games.